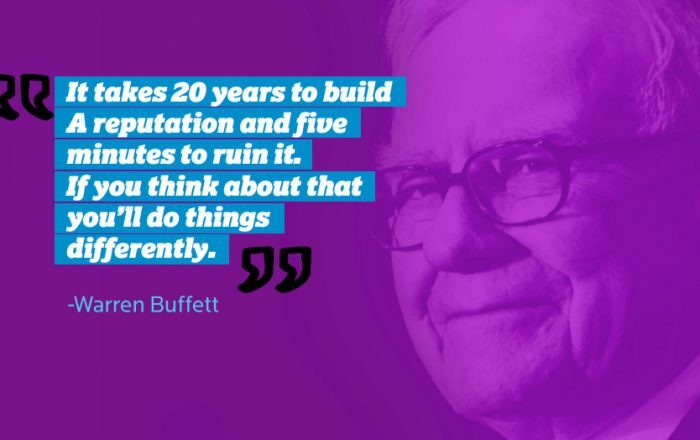 The ever-quotable Warren Buffet once said: “It takes 20 years to build a reputation, and five minutes to ruin it.” As clinical as that may sound, he’s absolutely right. It’s estimated that up to 80% of a company’s market value is based on reputation alone, yet history is peppered with organisations of all sizes who’ve taken needless risks with their reputations; Gerald Ratner’s jewellery empire blunder, Tony Hayward’s insensitivity during the Deepwater Horizon disaster, United Airlines’ poor management of the Dr Dao debacle and VW’s lack of transparency over the emissions scandal are all prime examples of how not to manage a crisis. So what do we mean by a PR crisis? It’s simply any event, usually unforeseen, which quickly puts a company’s reputation and financial stability at risk; the associated term ‘crisis communications’ refers to the public-facing management of such an event. Technically, it isn’t a PR crisis unless it results in direct financial losses or worse – loss of human life. Until then, it’s referred to as an ‘issue’ and the associated PR is known as ‘issues management’. However, the PR industry often refers to all aspects of reputational management as ‘crisis communications’, regardless of the level of threat, because issues can quickly escalate into crises if handled poorly. Statistically, most companies will experience a potentially business-threatening event once every five years, and when it happens they suddenly find themselves under the media spotlight, with intense and unwelcome public attention catching them off-guard. Some firms acquit themselves well, while others try to hide and take years to recover, and a few are wiped out forever by lack of foresight. The good news, however, is that most companies can overcome any reputational issues – and in some cases, even improve their reputation – simply by planning effectively. Like any other part of your company’s risk management strategy, planning for a PR crisis is a highly beneficial exercise that can pay dividends in the long term; it’s estimated that every $1 invested in crisis preparedness has the potential to avert $7 in losses resulting from a PR crisis. So what kind of things should your plan cover? Once you have your crisis matrix, you can then create a range of pre-prepared statements. Think about your company stance on each of these potential issues, and the style and tone you want to adopt throughout. Statements don’t need to be extensive – ideally just a few succinct paragraphs – but they should fully acknowledge the issue and outline how you’re planning to rectify it. Collate and maintain an up to date list of contact details for all your senior management staff. When a PR issue or crisis suddenly presents itself, time is of the essence and it will be critical to reach the right person as quickly as possible. It’s also advisable to assign roles and responsibilities; having someone in place to manage the actual crisis, and a separate person to act as a spokesperson (usually the MD or CEO), is advisable. Make a list of all your key stakeholders; these are all the people you’ll need to communicate with during a PR issue or crisis. This list shouldn’t be limited to just your customers and suppliers; it should also include your staff (first and foremost) as well as those affected, relevant local or national media, and any regulatory bodies or community stakeholders. Develop a basic protocol for managing an issue or crisis, and share it with your whole team. This should cover things like who’s going to investigate the issue or manage the problem, who will liaise with the media, how you’ll alert stakeholders, how you’ll monitor any related press coverage, what your agreed company policies are, etc.